Bad breath can have many causes. Some, like onions or garlic, are benign. Others are not so benign. Gum disease is one of these. Our dentist in Torrance encourages those with chronic or unexplained bad breath to schedule a comprehensive appointment to determine the cause and develop a treatment plan that will stop the bad breath at its source. Gum disease is caused by bacteria, which builds up in dental plaque. As it accumulates along the gumline, the gums become irritated. As the infection progresses, gums may appear spongy or swollen, inflamed, recede or bleed. Infection can proliferate in periodontal pockets, or pockets that push in between the teeth and gums. These pockets can be quite deep and difficult to clean, and plaque and tartar can begin to build up in them, which increases the amount of infection present. The bad odor can become stronger due to the sheer volume of bacteria in the mouth. As embarrassing as bad breath may be, it is hardly the only complication associated with gum disease. Periodontal pockets can cause the teeth to become loose and dissolve the bone and tissues holding the teeth in their sockets. In fact, periodontal disease is one of the leading causes of tooth loss in adults. Treatment can stop the progression of the disease, but it may not be able to reverse the condition, which is why it is so essential that patients use good dental hygiene and seek regular dental care in order to preserve good dental health throughout their lives. 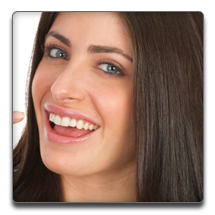 Contact our expert in periodontal treatments in Torrance to learn more or to schedule your appointment.